Using some unique video promotion methods your company can dramatically increase the number of new and satisfied customers. Rockstock Productions takes an “old school” approach to film & video production while applying the most up-to-date technology. Our concept is based on quality professional craftsmanship, with a fully trained crew, digital broadcast-quality multimedia video and High Definition. Rockstock has more than 5 years experience in this industry, and is on the cutting edge of technology with streaming video to the internet and building advanced DVD productions. Even if video production is not your area of expertise, we will support and advise you from beginning to end. By using the right amount of effort in the right places, we deliver video productions of the highest possible quality inside your budget, done right and with the desired messages coming across. A good corporate video is where you don’t get distracted by errors or poor quality and you are just in it. You understand and you listen to what was said, you remember it and you don’t forget it. With the advances in DVD technology and its “common place” use, your video production has a much broader application. Video is doing a great job for your website. It can show what you have, how it works, or educate in the use of a product or technique. 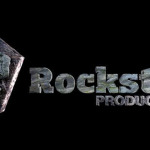 Please follows Rockstock Productions on Facebook or twitter for more info.